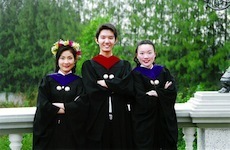 Many students attend university in order to gain an education that will help them advance in life. However, students can gain more than book learning at university. It’s also possible for university students to gain valuable experience and make good connections. If you are looking to make good connections, as well as learn professional skills, working in an alumni affairs office can help. You learn how to behave professionally, as well as develop valuable communication and management skills. Additionally, you have the chance to help with networking events, and meet university alumni. Make a good impression, and get to know influential alumni, and you will have an “in” when you leave university. For those looking to improve their presentation skills, this can be a great job. You will show prospective students (and their parents) around the campus. Tour guides learn to communicate effectively, and develop a sense of ease in front of groups. Additionally, you might also have the chance to meet alumni, and other influential people. Your job as a tour guide can help you learn skills that help in any career. On top of that, many marketing departments at universities are also involved in social media, and other tech-related marketing. Learning computer skills, as well as Internet skills, can benefit you in any job. In a marketing department, you are likely to learn how to draft a press release, craft social media messages, and manage a marketing campaign. You might be surprised at everything you can learn from working in a university marketing department. Plus, if you do a good job, you will receive excellent references and build your career network. Many universities offer IT services and student help for tech support. If you plan to work in a tech field (and maybe even if you don’t), working in the IT department can be a big help. You learn about computers, and how they work. Additionally, you will troubleshoot and develop problem solving skills that can be used at any job. Working with other students can also help you develop people skills, and learn communication. These are great assets no matter what field you go into. And, as technology becomes increasingly integrated into our lives, it doesn’t hurt to have a solid understanding of computers and computer systems. Want to learn how to sharpen your interview skills and write a resume that gets you hired? Work in career services. This department helps students prepare to find work when they finish university, and you can receive first-hand information and practice at improving your marketability. Not only can you learn the ropes when it comes to a successful job hunt, but you also might have the opportunity to work with various employers. You have the chance to speak with hiring departments, and with other company representatives. If your university has a career fair, you will probably get to help set up – and get an inside track to meet participants. Your networking opportunities are many when you work for career services. What about Working for Yourself? Of course, you can also work for yourself. University is a great time to be your own boss, if you have an entrepreneurial streak. You can work as a freelancer, or start up a company. There are many opportunities for those who are willing to work hard. Starting a side gig can help you learn a number of valuable skills, from fundraising to presentation to marketing. While university provides great opportunities to experience new things and gain new knowledge, don’t forget to develop the practical skills that will get you hired later. Really love the article, I have friends that have worked in alumni affairs as well as in career services, its a great way to sharpen your skills when it comes to cover letters, resumes and interviewing (all of which are invaluable skills). Would being a TA fit within this category as well? It’s something I am considering for the future. I’m a big fan of being a Resident Assistant. Free room and board and it looks great on your resume.